I’m probably one of the last few people that can say that I haven’t read any of J.R. Ward’s books before now. No, I haven’t been under a rock but that’s a story for another time. I haven’t read the first book and had no specific expectations when I started reading this book but my mind went to TV soaps like Dallas and Dynasty, which is very fitting. THE ANGELS’ SHARE could take its place right beside those TV greats with its decadent cocktail of drama, scandals, secrets, mysteries, romance, twists and turns and is an experience not to be missed! I am in love with Ms. Ward’s writing but I have to say that my brain felt like a tornado was whirling inside it, trying to absorb and enjoy the story and guess what the next play would be. The plot is nothing out of the ordinary but what Ms. Ward does with it is extraordinary. The writing is incredible, the drama is stunning and engrossing, definitely not something you want to walk away from until the last word. Just when you think you have a character pegged and boxed up nicely, the box springs a leak and you are left trying to define the character all over again. The secrets are shocking and will you leave you gasping for breath as they are revealed and knocks just don’t quit. For every answer, there is another question that hopefully will be answered in the next installment in the series. Every one of the family and some of their connections get some page time and leave you wanting more. Lane Bradford. A chip of the old block or a man in over his head? Edward Bradford. Friend? Foe? Villain? Protector? You decide. What does the future hold for Gin? A very unflattering picture of the late patriarch of the family forms with every revelation, but what was presumed to be a suicide is looking more like a murder and it’s safe to say his death is no big loss to his family. THE ANGELS’ SHARE is certainly a must-read in my opinion and if you love day-time drama, dysfunctional families, family drama or just a good old mystery then look no further, your fix is here! 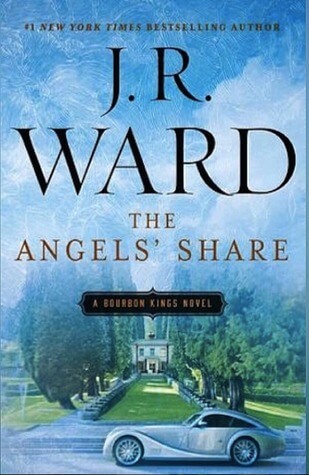 J.R. Ward is a #1 New York Times bestselling author with more than 15 million novels in print published in 25 different countries around the world. The books in her popular Black Dagger Brotherhood series have held the #1 spot on the New York Times hardcover, mass market, eBook, and combined print/eBook fiction bestseller lists and have debuted in the top 5 on the USA Today bestseller list. Prior to her writing career, Ward worked as a lawyer in Boston and spent many years as the Chief of Staff of one of Harvard’s world-renowned academic medical centers. Ward currently lives with her family in Kentucky where she has learned to enjoy and appreciate all things Southern. Connect with her online at her website, Facebook and Twitter.